Excellent review as usual. Thank you. A competent car. While it is not going to threaten the segment leaders, hopefully should settle into a consistent 4k units per month. Good job done by Ford with the safety, diesel and automatic petrol. Only disappointment is to see Ford stepping away from their major usp's like build and handling. Had never been too clear on the MyKey. Thanks for the detailed explanation of that. Special thanks for the detailed review of the DCT. Considering the pricing, a top end DCT was definitely feasible on both Figo and Aspire. Bad miss by Ford. Last edited by Rajeevraj : 9th November 2015 at 07:26. Thank you for a great review. The commonalities between the Figo and Aspire are so strong that parts of this review read like an echo of the earlier one. To echo Rajeevraj, thank you for the review of the AT variant, that was sorely missed with the Aspire. I wish Ford had offered the AT in Titanium+ variant too. They could have launched this in a lower variant too (e.g. Trend) to make it more accessible. Its a shame that Ford 1.2 petrol offering is lack-luster. Ford need to use some of the magic mojo that Hyundai use in their Kappa engine. A useful reference to anyone (owner or potential buyer) is the owner's manual which Ford provide publicly in PDF format. I'd also advise owners to sign up on the Owner's Dashboard site at Ford's website - this is where you can get Sync updates, and information about recalls. Figo finally has got its game right with the engines & I believe people should not crib now that why Ford did not launch the 1L ecoboost etc as the diesel is truly a gem for the enthusiasts & the petrol 1.5 A/T is not bad either. Last edited by karan561 : 9th November 2015 at 09:18. Excellent Review. Rated 5 stars. I felt I have actually spent some hours with the car after reading it. Brilliant. It is a pity that almost all hatches have to do with a 1.2L commuter petrol engine. Cannot thank the Govt of India enough for it. Good thing that Ford brought in the 1.5L as an option. The exterior design seems to draw elements from the Grand i10 and also the upcoming Kite. An upgrade of the alloys would drastically enhance the looks. Hope it sells and puts up a good fight to the segment leaders. After all, it is we who benefit. Would you mind sharing the details of the upgrade , like the size , the tyres used and the cost. It would be very helpful as I am looking to buy a aspire this week and the only thing troubling me are the wheels. And what about the warranty , will it be affected in any way? Excellent review Rehaan, as always! Rated 5 Stars! A challenging hatchback, would be interesting to see the sales numbers. What is this battery level indicator in the above picture? Little curious to know, as it appears in Radio, USB and few other screens too. That's a great looking Figo. The fat rubber should make the steering better as well. All the car needs now is blacked out headlamps and probably tail lamps. The battery level and signal strength bar next to it represent the mobile phone paired via Bluetooth. Other icons that can also appear are: an 'R' to indicate roaming, and an envelope icon to indicate text messages. As someone who owns the previous gen Figo (bright green with the red dashboard, no less! ), I'm really happy to see how the new car has shaped up. Safety will definitely be one of the main selling points of the Figo, no doubt with six airbags, ESP and all. This is a huge improvement over the last gen which had ABS, Airbags etc. only in the top end Titanium trim. I'm glad the engine is more powerful too. The older car simply has no power at third gear and I have to frequently downshift. I'm sure many people will be disappointed by the switch to an EPS over the hydraulic unit, but I'll gladly take it. It's very precise and all, but inside the city, it is VERY painful to park and make u- turns. I was amazed at how much of a difference a steering can make when I drove my friend's Pulse. And about the indicator stalk, I truly believe the older Figo's placement was perfect. Your right hand will always be fixed to the steering, although you could say your left hand has too much to do (indicator, gear change, audio, ac, etc.). The Figo has been really inexpensive to maintain with repairs for a few minor accidents costing almost nothing. Reliability too has been excellent, with the car never having to visit the service centre more than than required. *touchwood* In fact, it's been MUCH more reliable the our Hyundai Verna (fluidic) which was initially down with some niggle or the other. I don't expect this to change with the new car. Overall, I'm really hoping this car will be another success for Ford. If only they still had the Fiesta, they could have had a complete product line. And the Mondeo could nicely take care of the premium end. But at least, the legendary Mustang is making it's way! Wow what an exhaustive review of the new Ford Figo. Rating a well deserved 5 star. The car looks much much more attractive in real than the dull looking previous generation Figo. I specially love the rear styling. Its minimalistic yet absolutely stylish. Although the interiors look pretty nice and pleasant to the eyes, an omission of a touch screen infotainment system is a huge downer in today's day and age. 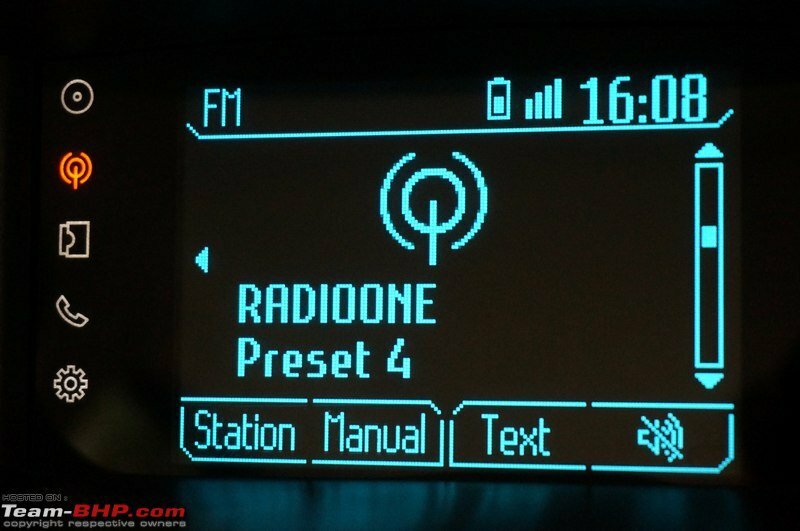 Heck, even the new entry level Renault Kwid gets a 7inch touch screen system in its top trim. I'm really not a fan of the Nokia phone like panel design which Ford has inculcated in all its under INR 10Lakhs cars. Regarding Ford's effort to tune the handling towards the liking of mass market is a surely welcome move from my side. Yes many enthusiasts might give me a stick for this comment but going by my day to day driving experience of the Ford Fiesta Classic for the last 4 years, it will be an absolute boon to have a light weight steering setup with easy maneuverability for the within city run-abouts and I believe the EPS in the new Figo weighs up decently when out on the highways at higher speeds. I have been driving Hyndai fluidic Verna, Ford Fiesta Classic, VW Polo TDI and Fiat Punto for last 3-4 years. And believe me, I absolutely avoid driving the two cars with HPS i.e Fiesta and Punto within the city. VW Polo and now even the Hyundai Creta with EPS are so easy to maneuver in and around the city streets. In all I wish these two Ford twins become a huge success for Ford in India. They offer the best in class engines along with class leading safety features and other creature comforts one expects in this segment at a very attractive price points. Ford's marketing team needs to up its game and make these cars more visible among the plethora of competent products available in this segment. Awesome review with attention to details. Rater 5 stars. I own a 2011 Diesel ZXI with 92k on odo. It still is going strong and I love the way it takes curves. Though the new figo might not impress me on the handling department, I am still thinking if I should go for it for what it has under the hood. The Sales guys at Kairali Ford in Trivandrum have offered 2.5L for my old figo if I am to exchange it for the new one. Considering the fact that I still have 2.35Lacs loan left on the car,(I bought it for the lowest possible downpayment of 90k INR back in 2011 ) and the service cost estimates I got from the ford SA at Kairali Ford, I am now left in a dilemma as to whether I should get the new figo or keep my 4 year old champ for a few more years. My current figo uses to clock 20k kms in a year on an average so far. So if I keep her for a few more years, the service cost alone would be around 80-90k INR in the next 1.5 years. Brilliant Review as usual, Rehaan. They've got the basics right. No unnecessary fuss with the design. Simple and practical that will offend none. The ORVM's seem to be conveniently sized from the pictures. Are they not wide enough? How different are they from the Wagon R's? Also can anyone throw light on the aero-dynamic flap on the mounted panels of the ORVM? I'm curious as to how that works. Brilliant review as always. Having booked one recently and waiting for the delivery, it is satisfying to know that Figo has got high marks from a Team-BHP moderator. That speaks volumes about the credibility and the trust, the reviews carry for the general public. Based on the review, I am wondering if I should switch to a diesel model though my usage is not going to be very high , still I would like to enjoy the car whenever I am driving. Ford knows the Indian mass market requirements and has placed its products appropriately. 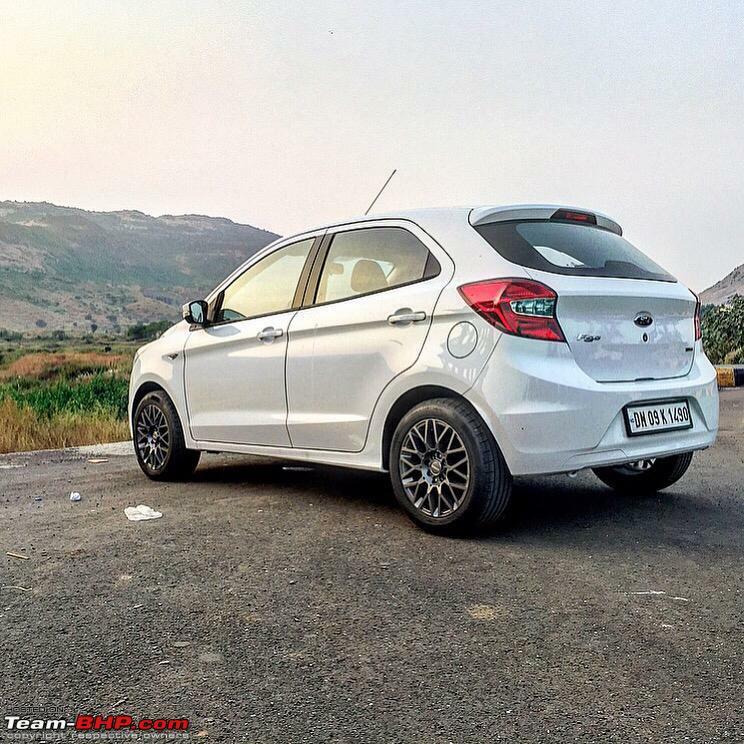 Both Ecosport and Figo / Aspire are value for money product and can withstand the competition. I am sure the missing things would be addressed in the next facelift with fully loaded automatic and may be even diesel automatic could be on offer for the Indian customers. Cheers and thanks a lot for lovely review. Excellent review there Rehaan. Ford has addressed several of the short comings that were present in the previous gen Figo and making it appeal to the mass market. But the handling part seems to be the biggest downer. I remember reading in GTO's review of the old gen Figo that car has a strong chassis and enough handling capability to have a more powerful engine. It is the other way this time around. You can always increase your car's power output but cannot make it handle any better (maybe bigger tires could provide some assistance). If I could get the new engine in my previous gen Figo, now that would be something. All times are GMT +5.5. The time now is 02:09.